Investing is emotional for many people. Those emotional responses have led to detailed studies in the field of behavioral finance. Researchers have now proven that many of our investment decisions are driven by emotion. But, even in an area where emotions are common, the depth of emotional responses to one asset class stands out. Many investors either love or hate annuities and few have no opinion on the subject. Because emotions run so high, the question of whether or not an annuity is right for you is often clear. For many, the answer is no. For many others, the answer is yes. The right answer, for everyone, is that it depends on your personal circumstances. Some sources date this asset class back to ancient Rome. But, the first modern annuity seems to have been developed in France in 1653. That year, a banker named Lorenzo Tonti developed a method for raising money in France called the tontine. Subscribers purchased shares of the tontine and received a share of the income generated by the underlying investments. This is similar to a modern day mutual fund but with one big difference, as tontine shareholders died off, their income was spread among the surviving investors. Eventually, the last person alive collected all the benefits. The use of tontines spread to Britain and the United States where governments used them to finance public works projects. By definition, an annuity is a contract between an investor and an insurance company where the investor agrees to make a payment and the insurance company agrees to provide income for a certain amount of time or for the life of the investor. That’s an annuity in the simplest terms possible. But, there are various options to the contract that make the annuity a slightly more complex instrument. Payments could be in a lump sum or over time. The income could be guaranteed for a minimum amount of time and transferable at death or not. Income can be protected against inflation, or not. The amount of income could also be fixed or it could vary based upon various factors related to changes in the financial markets. Other variations of the contract exist and, in short, annuities are a complex investment in modern terms. That complexity accounts for some of the emotional responses to the contracts. Each addition to the contract carries a cost. 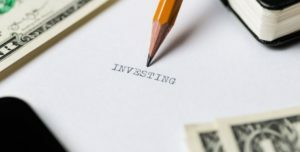 Those costs can add up quickly and it is possible an investor could pay a large amount of money for a relatively small amount of income in some cases. However, that complexity allows for many investors to build the product that is exactly right for them. Some investors will find potential tax savings and guaranteed income that is protected against inflation to be important and they understand those benefits carry a cost. Taxes are another complex and emotional issue for investors and annuities, like other investments, have tax consequences that should be considered by potential investors. There are pros and cons associated with tax issues. Annuities can grow tax deferred, but there could be tax penalties if the funds are accessed early. This is a situation that requires an investor to honestly appraise their circumstances. If they may need access to cash quickly, an annuity or other tax sheltered plan may not be right for them even though that is an advantage for other investors. Perhaps the biggest advantage of annuities is the fact that they offer guaranteed income. If your goal is to have income during retirement years, you may focus on investment returns and believe the biggest risk is a market crash. In reality, the biggest risk an investor faces could be longevity risk. Longevity risk is the risk that an investor outlives their money. As health care advances and helps individuals live longer, longevity risk increases. It’s possible, even with a low withdrawal rate, that retirement savings can run out well before an individual quality of life deteriorates. Annuities can be structured to provide guaranteed income for life, effectively eliminating longevity risk. This is an advantage that is important to consider. One of the underlying factors for the negative emotional response to annuities is the costs associated with the products. There have been some companies that offered unusually high cost products in the past and there are still some relatively expensive products in the market. As you can see, the clear disclosure still requires some level of analysis. The lowest cost annuity will not offer some of the benefits in the form of riders that could be attractive to many investors. There could also be annual fees associated with the account no matter which company offers the product. After doing your research, it could be that an annuity makes sense for you. If that’s the case, more research will be needed. Annuities are available for low minimums of just a few hundred dollars. Low cost annuities are also available. Annuities could be right for you, especially if longevity risk is a primary concern and especially if assured income is a top priority.